The LNA coalition of forces claim that they had taken total control of the contested Sharara oilfield yesterday (Photo: Social media). 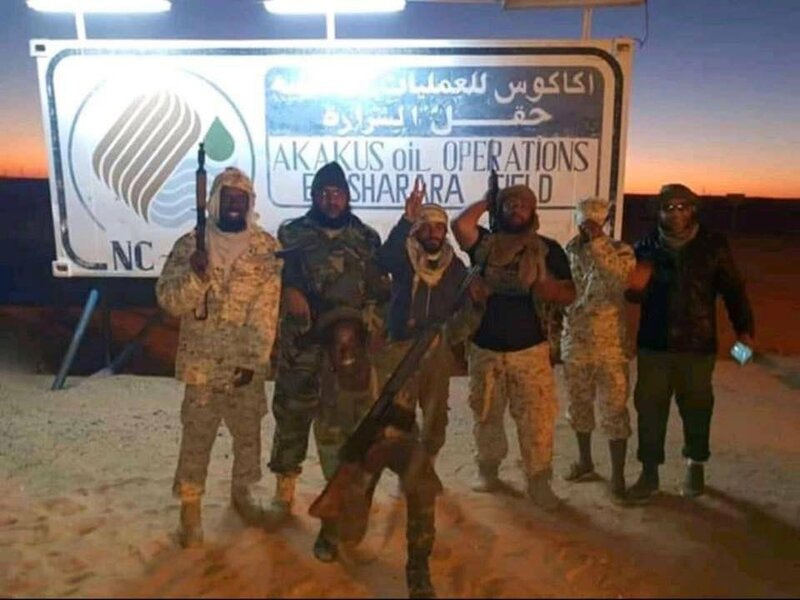 The Khalifa Hafter-led Libyan National Army (LNA), as well as forces aligned to it, claimed that they had taken full control of the Sharara oilfield yesterday. There were many photos and videos posted by the LNA media department as well as social media purporting to show the LNA and it’s allied forces in the oilfield. There is no irrefutable evidence as yet that the LNA coalition have total and permanent control of the oilfield. It is also unclear if there will be a counter move to regain control of the oilfield by the anti-Hafter forces, including forces representing the Faiez Serraj Presidency Council and Government of National Accord in Tripoli. Yesterday the LNA spokesperson Mismari tweeted: Peacefully with no resistance, LNA has full control over Sharara oil field with all its facilities and now securing the location with full coordination with the field administration. There were reports of a brief skirmish as the LNA coalition pushed to seize control of the whole Sharara site. No deaths or casualties were reported. It is though that the LNA coalition may have gained control of the oilfield overnight as a result of some Tebu forces switching sides. They had broken off from their commanders. The ultimate test and proof of stability and control of Sharara will come when and if the National Oil Corporation lifts the force majeure status on the field.